Many of these women suffer life-long, unresolved, trauma-related, psychological injury. Research shows that continuing to hide such secrets has pronounced negative physical and mental health consequences for them. These women would have been greatly encouraged to embrace a process of healing if Minster Zappone would first admit on behalf of the State that it was a criminal act to take their child under cover of wholesale coerced consent to adoption. The women were detained in effective concentration camps and coerced into adoption processes which caused many of them lifelong harm. Try to take a woman's infant against her will today. You would be arrested if you dared. And if it's a crime now - it was equally a crime then. But the State is blind to that. In reality, infants were (literally) torn from the arms of their screaming mothers. Yet the State hides behind a myth that at the time the primary concern of the women was ensuring that their child would never seek them out!? Get real! 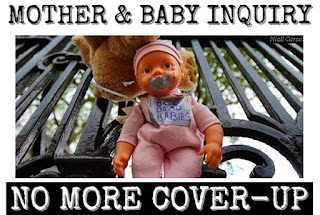 Mothers were never offered, nor did they ask for confidentiality. That is a myth invented by those who encouraged, funded and participated in the incarceration of mothers and the removal of their infants. The State pretends to be motivated to protect mothers privacy rights? Why: because it suits the State if mothers stay hidden and keep silent. Giving birth is not a crime, illegally removing an infant from its mother is. So, from the Minister - not a word of apology. The women who were the victims of these barbaric separations would be emboldened if they heard the Minister admit that the social and State legal duress to which they were subjected was a mass crime against tens of thousands. It might give them the strength to confront the wall of prejudice which still holds fading sway in Irish society. But the State will not face any of this. That does not surprise us. Our First Mothers' testimony opposing a contact veto was censored from the Bill's committee stage report. Furthermore Minister Zappone declined to even meet our group, despite that two previous Ministers had consulted with our group. Had the Minister met us, she would have also heard our concern around the proposed involvement of Tusla in managing access to our adoption information. Tusla can't even handle its existing workloads, let alone deal with tens of thousands of adoption cases. Multi-year delays already plague Tusla's existing attempt to provide adoption information services and there is every reason to believe that what awaits us is an expensive, decade-long traumatic mire of "your call is very important to us" - thanks to overly-bureaucratic government policy. Other countries have accepted that parties to past adoptions are competent adults and thus well able to manage their interaction today without such official intrusion. The State of Victoria, in Australia initially implemented a contact veto system, such as the one the Minister proposes, but has since abandoned that approach and reverted to prior policies of more open access to adoption information. As things stand, the main thing a mother's "no contact" preference in a Tusla register would tell us, is how deep has been our failure to date to create the climate for such women to "come out". Minister Zappone could and should be helping to challenge the familial and social prejudices intimidating most of the women to this very day. 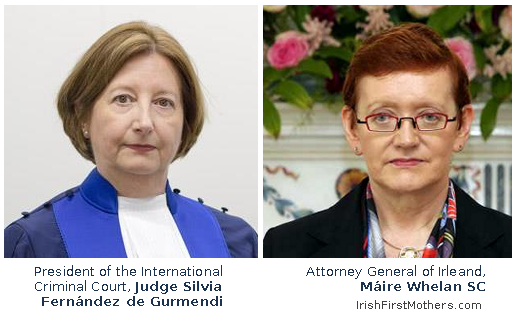 But official Ireland has not even begun to face the holocaust it inflicted on these innocent women and infants. The Irish Examiner newspaper revealed that the State knew via a 2012 internal HSE report that there were serious anomalies justifying an official judicial inquiry. But nothing happened. 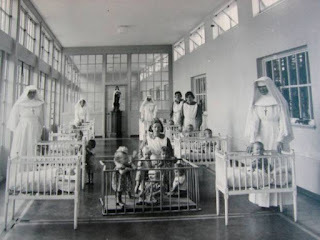 Two years later, a fortunate international media spotlight on claims that 800 infants were interred in Tuam, prompted the government to establish an inter-departmental committee to coordinate its response. But that committee never revealed the 2012 report, even as it set up a "new" inquiry guided by the Dept. Children & Youth Affairs. 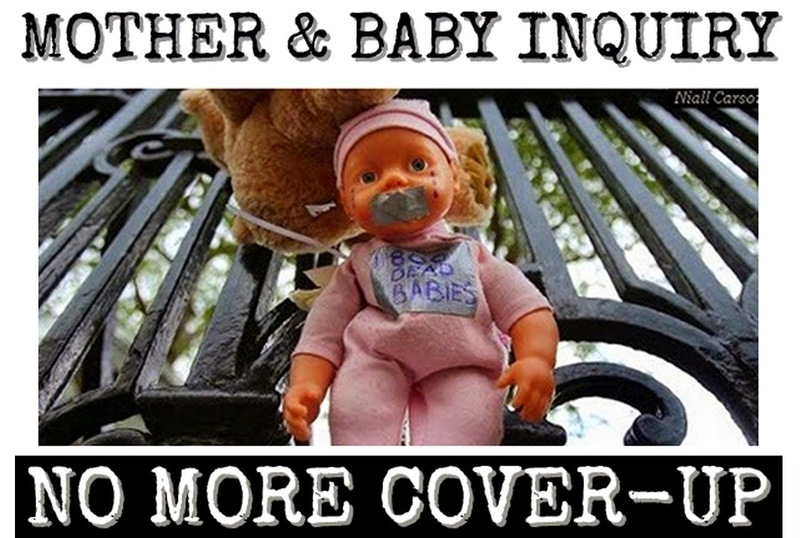 When the resulting Commission of Inquiry into adoption practices began, we were promised an interim report, but that too is well overdue and no longer even mentioned by official sources or the media. The cover-up is well and truly underway now. Meanwhile the cart carrying the Minister's proposed Adoption Bill is lopsided. And it's come before the horse of an apology. 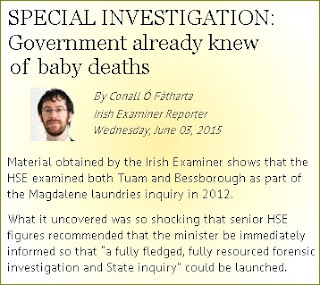 The vested interests with lots to hide want to bury their crimes as effectively as Tuam's 800 innocent babies. But we will fight this flawed Adoption Bill and the Commission of Inquiry cover-up with all the resources we can muster. Please join us or aid us.